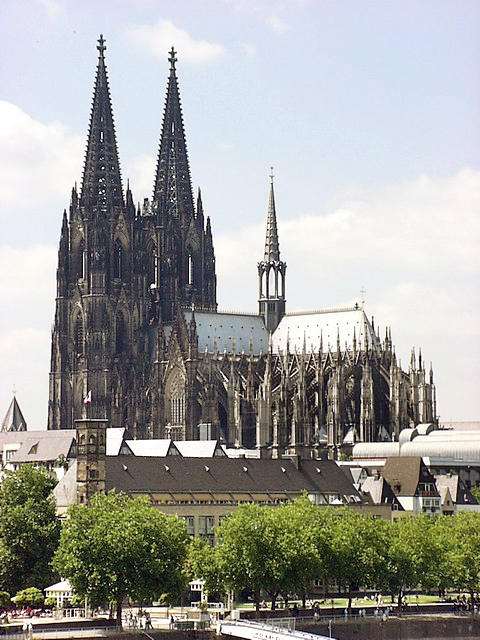 Behold: an evangelical theologian who wishes to medievalize evangelicalism–as I do! A fascinating evangelical proposal to return to a medieval "sacramental ontology"
Boersma offers the rich, luxuriant oil of medieval metaphysics to keep evangelical lamps warmly aglow. Boersma’s project differs from its predecessors [Milliner notes the works of Robert Webber, Tom Oden, and, reaching further back, the Mercersburg theologians] by its unique inspiration: the circle of 20th-century Catholic theologians whose collective project came to be known—disparagingly at first—as the nouvelle théologie. Dissatisfied with a desiccated Thomism, thinkers such as Henri de Lubac, Marie-Dominique Chenu, Yves Congar, and Henri Bouillard renewed Catholic theology by literally “re-sourcing” Scholastic faith with ancient Christian thought. They were heavily criticized but ultimately effective, many of their insights informing the Second Vatican Council and in turn renewing Thomism as well. Having produced a lengthy academic investigation of these thinkers entitled Nouvelle Théologie and Sacramental Ontology (Oxford Univ. Press, 2009), Boersma has now given us a more accessible version of the argument informing that longer text, one that puts his research into conversation, and opposition, with contemporary evangelical trends. Boersma calls this medieval atmosphere the “Platonist-Christian synthesis,” specifically addressing evangelical readers who may greet that formulation with suspicion. . . . Emboldened by the fact that Christian Platonism was a significant ingredient in C. S. Lewis’ recipe for success, Boersma shifts the burden of proof to those who would irresponsibly conflate Gnosticism and Platonism, a slip unfortunately made in the popular writings of scholars as reputable as N. T. Wright. Christianity was not Hellenized, according to Boersma (and countless other scholars of rank); rather, Hellenism was Christianized. . . . It is in fact the thinner strands of evangelicalism, which instinctually refuse the sacramental perspective, that border on Gnosticism. 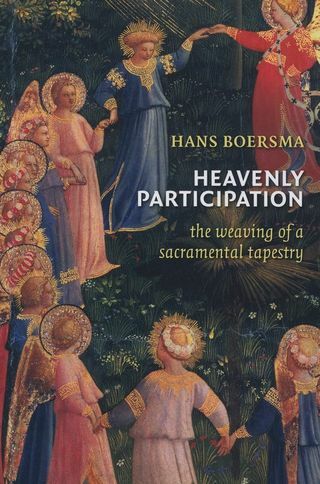 Boersma’s controlling metaphor for the medieval synthesis is the “sacramental tapestry.” He explains how this tapestry was woven by early Christian thinkers, frayed in the Middle Ages by a creeping naturalism and an overly juridicized church, cut by nominalist thinkers such as John Duns Scotus and William of Ockham, and further unraveled throughout modernity, as chronicled most famously by Charles Taylor. [T]he appeal to Patristic sources known as ressourcement need not entail a forsaking of the Protestant birthright; undertaken rightly, it promises fulfillment. Boersma’s is still very much an evangelical perspective, and is sufficiently distinguished from Radical Orthodoxy to make it more palatable to evangelicals. That a view akin to Boersma’s can be extracted from chiefly Protestant resources as well is further testimony to its truth, and to its potential as one of evangelicalism’s brightest possible futures. For the whole review, see here. 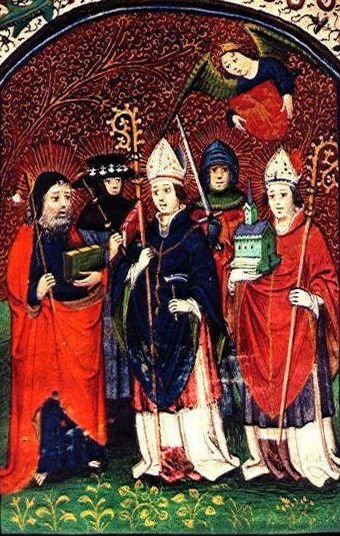 This entry was posted in Medieval Wisdom for Modern Protestants and tagged evangelicalism, Hans Boersma, Henri de Lubac, Middle Ages, ressourcement, Roman Catholicism, sacramentalism, sacramentality, sacraments, Second Vatican Council, the sacramental, Yves Congar. Bookmark the permalink. Thanks for bringing this to our attention. Going to give it a shot. Looks really good but at $115.00 for pre-order I think I’ll wait and hope for a paperback!